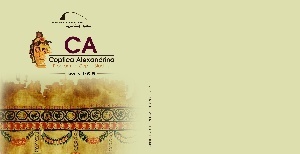 Unlike most entities involved in Coptic heritage, especially those affiliated with the Egyptian churches, the BA Center for Coptic Studies goes beyond the religious and theological studies that falsely confined Coptic heritage to Christians, and focuses more on its civilizational and cultural aspects. The significance of the center can also be attributed to the lack of specialized centers in this field at both local and regional levels. Introduce the Coptic heritage and culture as an integral part of the Egyptian culture. Disseminate the Coptic heritage among all Egyptians, not only Christians. Train and empower qualified cadres to work in the fields of scientific research, and preserve the highly endangered Coptic heritage. Deepen the concepts of tolerance and acceptance of the other in the Egyptian culture, by studying those assets as a means of understanding and communication. Place the sites of Coptic heritage on the map of international tourism, and raise more awareness toward their preservation and restoration. Contribute to the preservation of Coptic heritage, including monuments and manuscripts, as well as the intangible heritage of traditions, music, and more, by collecting, documenting, and categorizing its elements. Encourage Egyptian researchers to study Coptic heritage by providing them with scientific materials, publishing their work, and offering a platform for experience exchange between local and international research centers.